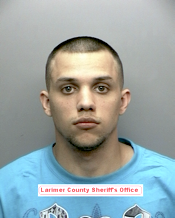 Larimer County Sheriff’s Office investigators have charged Beau Graves, DOB: 031887, and Joshua Cruz, DOB; 062291, in connection with the home invasion/armed robbery that occurred on March 29 in unincorporated Loveland. The two men allegedly broke into the home of the 48-year-old victim, assaulted him, tied him up and stole his car, a 2006 Nissan 350Z, as well as numerous items from within the home, including a bank debit card. The following morning, the victim’s stolen car was located by Fort Collins Police Services after it had been involved in a significant accident on County Road 19 near the landfill. Not far from where this accident occurred, a GMC Yukon was stolen from a nearby residence in Larimer County. Investigators believe this vehicle theft was perpetrated by Beau Graves who is now believed to have been driving the wrecked car. The passenger in the vehicle was taken to the hospital with multiple injuries. 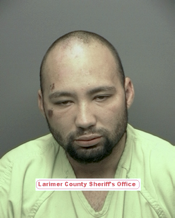 He was not charged by the Larimer County Sheriff’s Office. On April 5, the Timnath Police Department took a report of an individual who had stolen a significant amount of merchandise from the Timnath Wal-Mart. The vehicle the suspect was driving during this theft, a white Ford F350, was also discovered to be stolen during a carjacking in Loveland that same morning. Shortly after the Timnath theft, the stolen Ford F350 was then reportedly involved in multiple collisions in the Fort Collins area, including with a Fort Collins Police Services patrol car. Larimer County Sheriff’s Office deputies were able to successfully immobilize this vehicle, being driven by Beau Graves, in the area of 29th and Garfield in Loveland where he was subsequently taken into custody. The apprehension of Graves and Cruz was the direct result of the joint efforts of Fort Collins Police Services, Loveland Police Department, Timnath Police Department, Colorado State University Police Department, Colorado State parole officers and the Larimer County Sheriff’s Office. Additional charges have been filed by these agencies. Site contents copyright © 2019 Recorder Online	except as noted. All rights reserved. 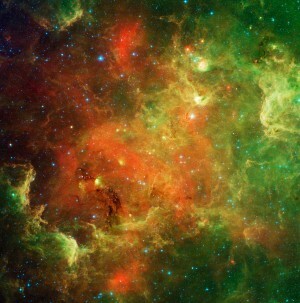 | 90 queries in 2.224 seconds.